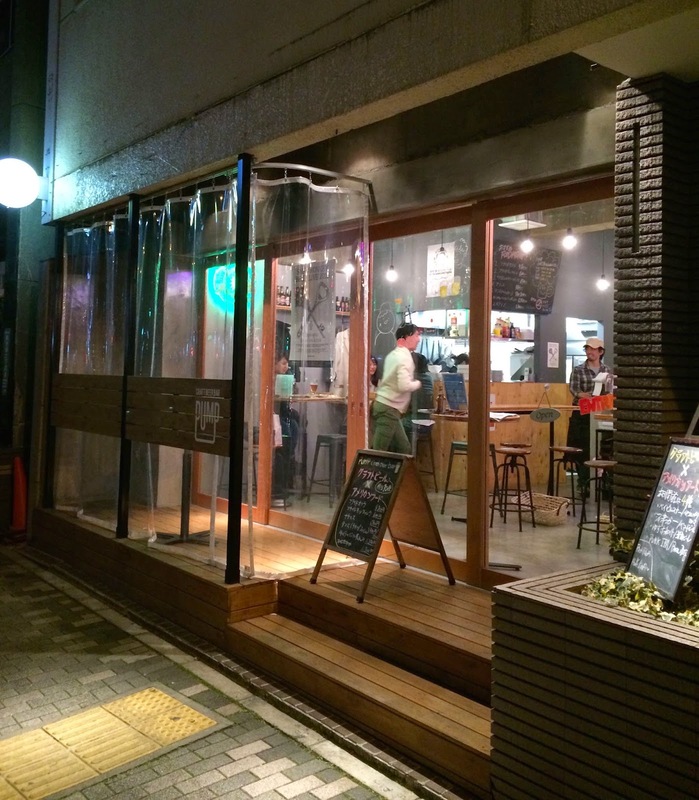 A brief post on Pump, a fairly new bar that opened late last year between Ikebukuro and Mejiro. - About 500m south of Ikebukuro on the main road. - Around 20 seats and place for about ten at the counter. - Bright and new decor with quite a young atmosphere. - Half, ¥500-¥700, Pint, ¥840-¥1180. (Seems like they do beer flights too now, but haven't been recently, so no idea about the prices). There’s not much else in this area between stations, so it’s definitely filing a gap. Baird beers were very reasonably priced. Selection when we visited seemed a little safe, but they had some interesting stuff on the ‘coming soon’ list. To find your way there, it's probably simplest to leave Ikebukuro station by one of the exits on the East. If you can find the Seibu department store you are on the right side of the station, and the bar is on the road that runs along the front of Seibu. I've got a whisky pub a little north of Pump in Ikebukuro and watched the owner take it from a skeleton to fully fitted-out, good-looking craft beer pub. I'm cheering for him to succeed, though I worry that the location is just a little too far outside the bustling part of Ikebukuro. He does try to keep a couple of American West-coast craft brews in the rotation, including Elysian (Space Dust IPA), Ballast Point (Sculpin IPA), Green Flash (West Coast IPA). Yeah, there's a lot of competition out there nowadays and there will surely be some casualties at some stage. When we went it was pretty busy though, but I guess it was a holiday.